A really lovely artisan board ideal for use as a chopping, cheese, bread or presentation board, handmade from one piece of olive wood. Perfect for cheese lovers and home chefs! 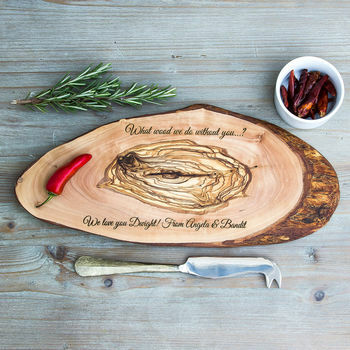 This eye-catching, personalised and completely original board will become one of your kitchen essentials. 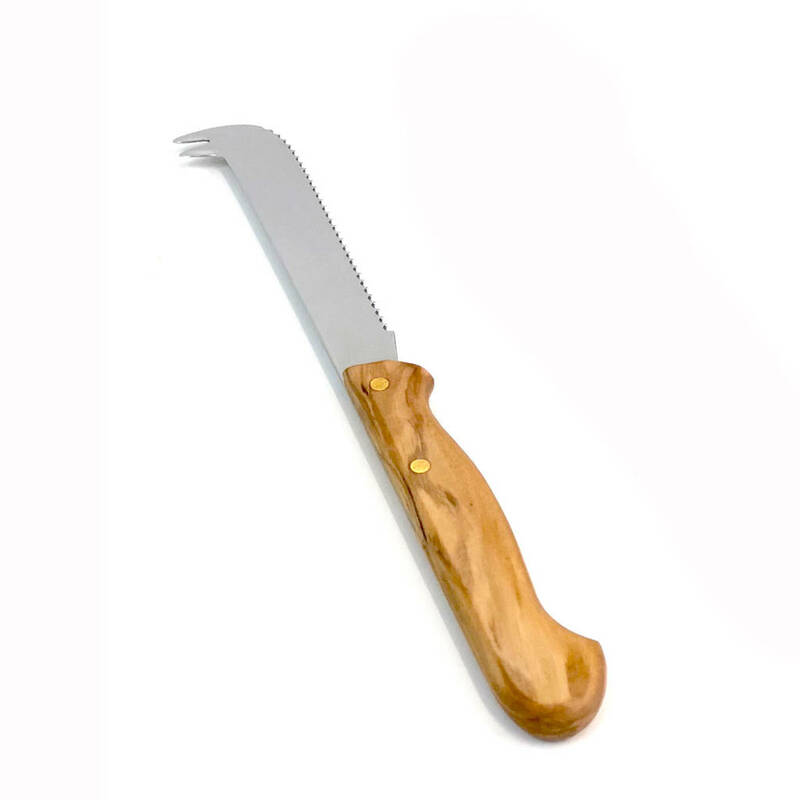 Use it for cutting and serving bread, vegetables, salad and meat. These make great keepsake gifts and mementos for absolutely any occasion, including - Birthdays, Wedding Anniversaries (especially 5th), New Home, Thank You and Leaving presents, Father's and Mother's Day, Christmas, Valentine's Day. Simply choose someone's favourite quote, names and the date of a special occasion, favourite cheese or cooking quotes, etc, etc, etc. If you can think of it, we can make it! These boards have been handcrafted by artisans to a very high standard, will last for years, and will only get better with age. Personalised engraving: include two messages of your choice, up to 25 characters on each line. Include a short message, a favourite quote, a special date or occasion... just about anything you can think of. If you do not wish to use all the lines then simply enter "Leave Blank" in the relevant box. Spaces are included in the total number of characters and we cannot engrave foreign language accents. 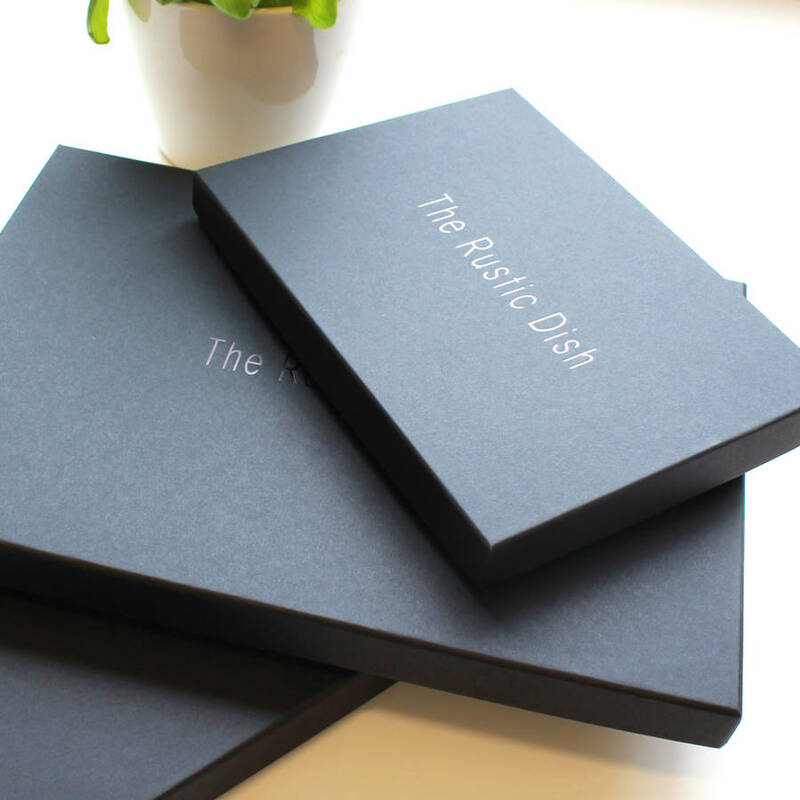 Black presentation boxes available. Packed with luxury tissue paper. 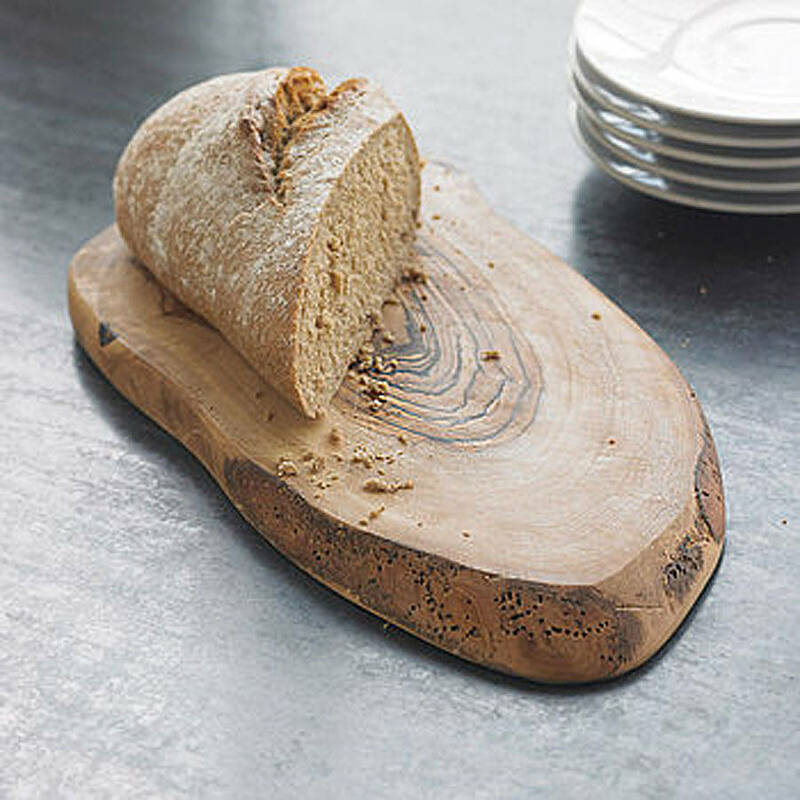 Shapes, colour and grain can vary slightly due to being crafted from a single piece of olive tree.